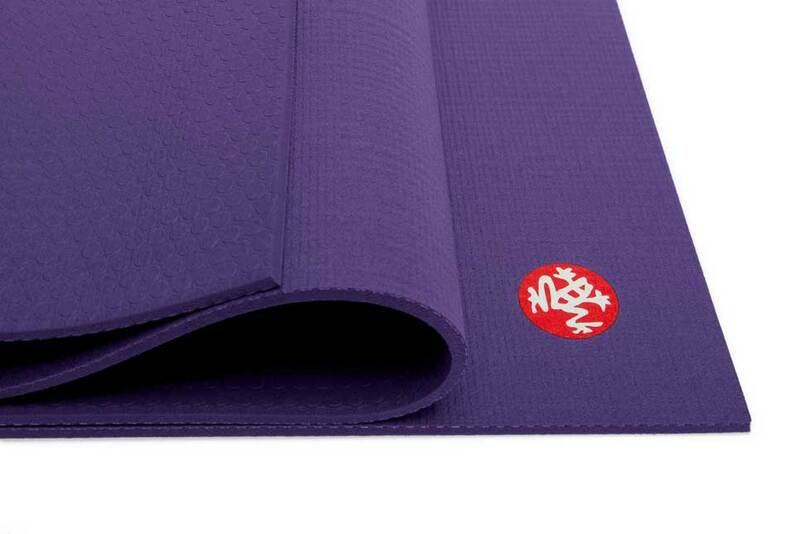 A thick luxuriously yoga mat is dense for ultimate comfort and support. 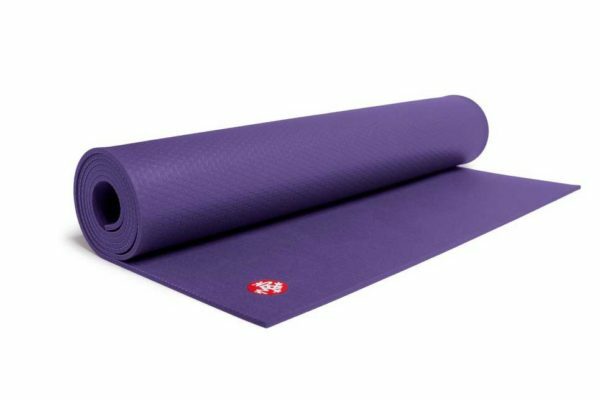 With a superior non-slip fabric-like finish, a beautiful yet simple, elegant design, The Manduka PRO Mat range will enhance your yoga practice, taking your yoga experience to a whole new level. 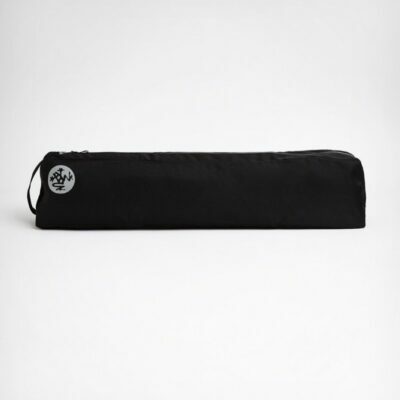 Arguably the very best yoga mat in the world, the Manduka Black Mat Pro has been the number one choice of yoga teachers for twenty years now. We now have selected Pro mats available in extra long size of 216cm length. These are marked “long” when you are making your selection. 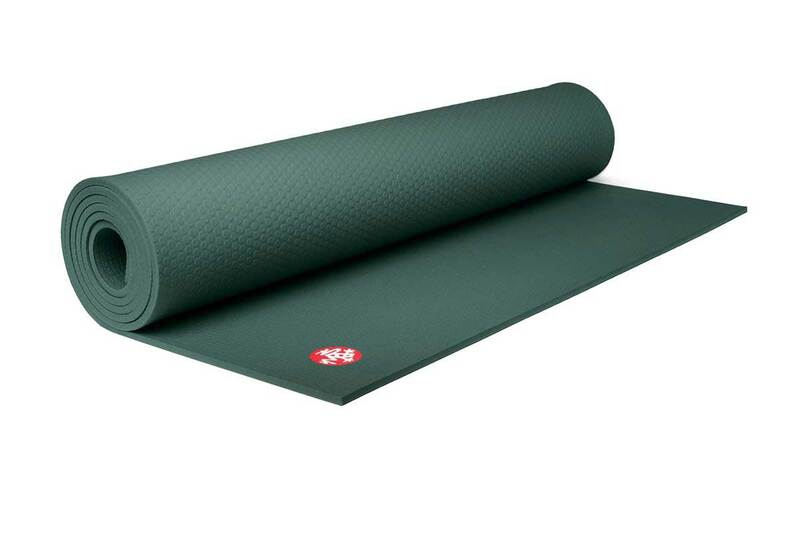 At 3.4kg it is not a lightweight yoga mat. 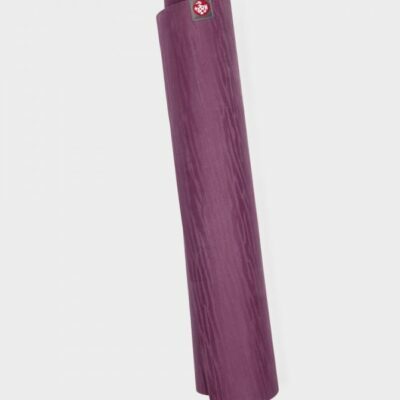 The weight is due to its superb construction and durability which is why it comes with a lifetime guarantee from Manduka. The thick dense construction offers better comfort than any other mat on the market. It is equally at home on carpet, wood or even concrete or grass surfaces. The top of the mat offers a non-slip fabric-like surface which actually improves with use. It is a closed cell construction which stops sweat from seeping into the mat thus preventing a build-up of bacteria. 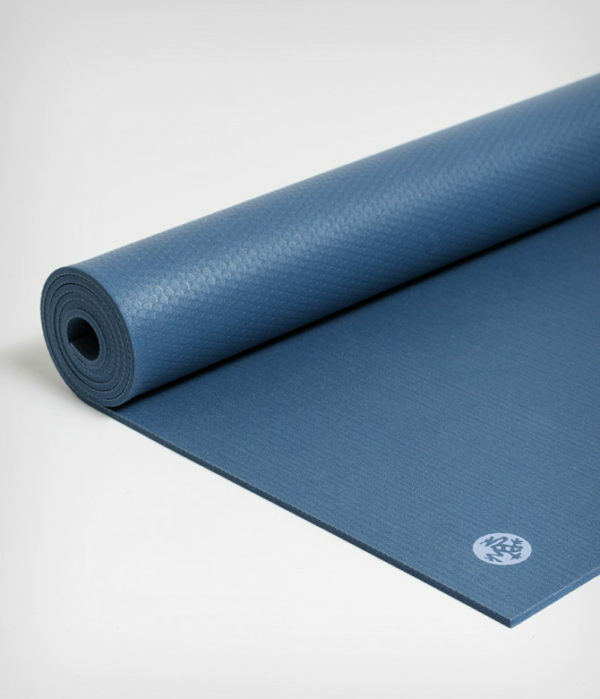 The base of the mat features a proprietary dot pattern to help ensure there is no mat slippage during your yoga practice. We, at Wicklow Yoga unreservedly recommend this yoga mat. Designed to last a lifetime, you will never need another yoga mat again (unless you want to keep several in different locations). This cuts down on landfill when you consider how many mats (of lesser quality) you would be likely to go through in a lifetime. 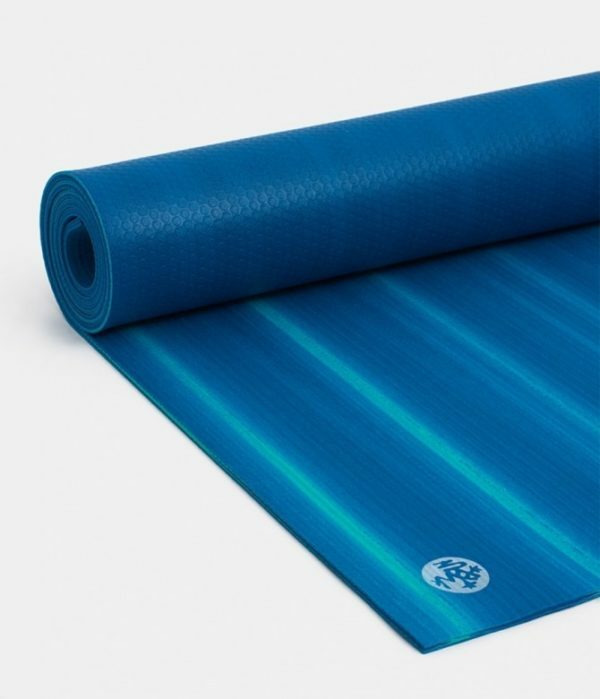 Multiply that by the number of people practicing yoga and pilates in the world and you begin to see why we believe that everybody should have a Manduka Pro series yoga mat. Unlike most yoga mats, the Black Mat Pro is manufactured without toxic emissions and has a Oeko-Tex certification. 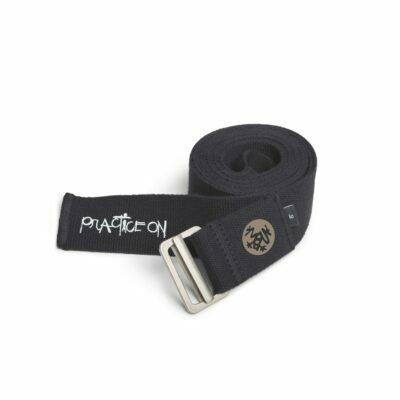 Black Mat Pro yoga mats do not flake or peel. 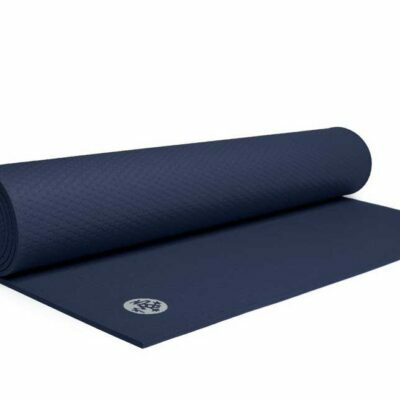 In short they are the very best yoga mat available on the market today. Storage: If you do not leave your mat out flat, then roll it with the fabric finished top side facing out…. in other words turn your mat over after your practice to roll it. Doing this will keep the corners of the mat flat to the ground for your next practice. Cleaning: You can use any non-solvent household cleaner along with a damp sponge or cloth. However, we recommend the use of Manduka Mat Renew for cleaning. Hang it to dry. Manduka say to hang it in the sunshine, but we live in Ireland and frankly there isn\\'t enough! DO NOT: wash your Manduka Mat in the bath or shower. Don\\'t wash it with a garden hose either. ABSOLUTELY DO NOT: put it in the washing machine or dryer. You will destroy your mat and possibly your machine too. All you need to do is give it a gentle rub down. How to Break In your Mat: The best way to break in your Manduka yoga mat is to use it!….. daily. This is because your mat will actually improve with use. If you aren\\'t patient enough for that then you could always rub it down with a sprinkling of course sea salt using a spritz of water and a cloth. It should then be air and (weather permitting) sunshine dried.